****PROFESSIONALLY LIFTED WITH UPGRADED WHEELS & TIRES CUMMINS TURBO DIESEL 2015 RAM 2500 4WD SLT EDITION CREW CAB 6.7L AUTOMATIC 4-DR TRUCK WITH 45,868 CERTIFIED MILES. CAR FAX CERTIFIED. THIS TRUCK IS IN IMMACULATE CONDITION RUNS AND DRIVES PERFECT. 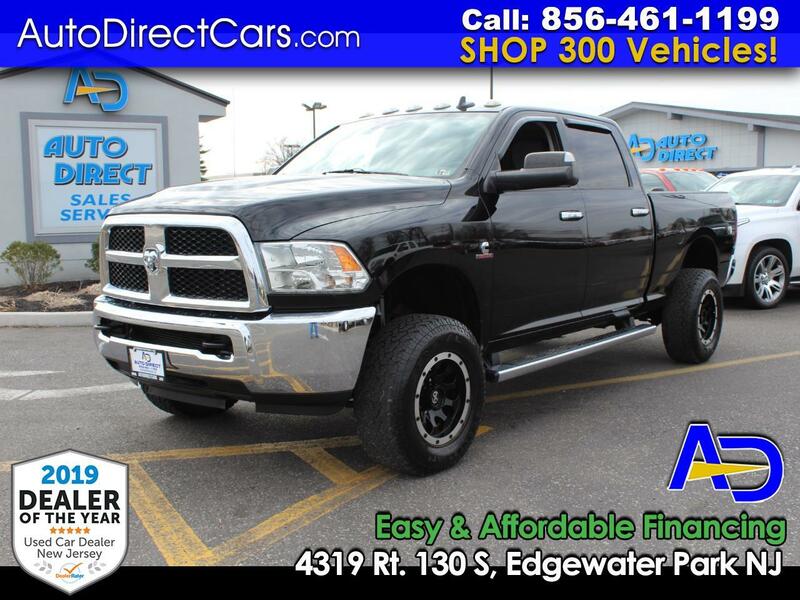 LOADED WITH ALL FCATORY OPTIONS EATURING UPGRADED WHEELS AND TIRES, POWER SEAT, CD, POWER LOCKS, POWER WINDOWS AND MORE. PRE-QUALIFIED FINANCING AVAILABLE. TRADE INS WELCOME. STOP BY & VISIT OUR HUGE INDOOR SHOWROOM.